The historic Carson Block building in Eureka’s Old Town is due to be recognized next month at a California Preservation Foundation award ceremony. 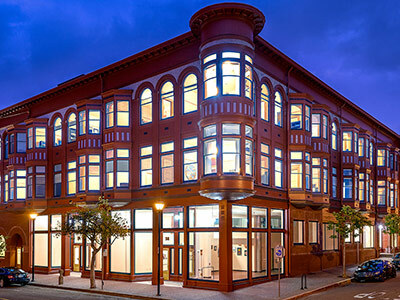 It is among 21 building restoration projects set to be recognized at the 34th annual Preservation Design Awards and President’s Awards ceremony in a San Francisco hotel. The Carson Block restoration brought the building to how it looked in the early 1900s, he said. 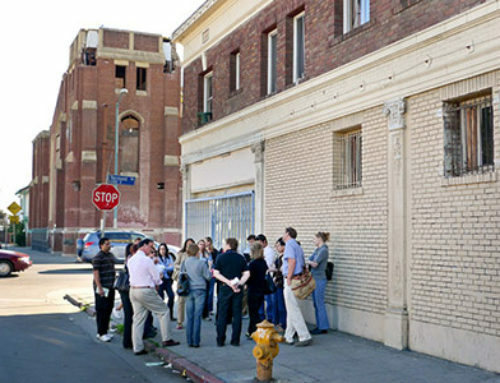 “The current changes of the Carson Block building consist of: the rehabilitation of the entire building to a period of historic significance about 1910s, which includes the removal of the plaster stucco and glass block that obscured the historic features; this work also includes restoration of the southwest turret, which had been misguidedly removed in the 1950s ‘modernization,’ ” a document about the project on the Northern California Indian Development Council, the organization that owns the Carson Block, website states. The inside of the building was also renovated and upgraded, the website states. The council is a private nonprofit established in 1979 that researches, develops and administers social and economic programs for native communities across the north state. One of its primary purposes is conservation and restoration of historic and archeological sites, its website states. This reporter was unable to reach NCIDC Executive Director Terry Coltra before the Tuesday evening’s publishing deadline despite multiple attempts. 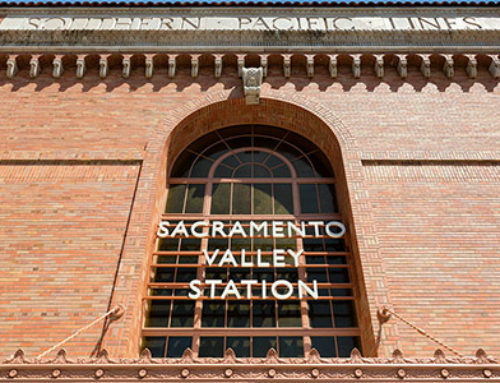 According to the California Preservation Foundation’s website, the organization works to protect the diverse cultural heritage and historic places across the state. “The California Preservation Design Awards is a statewide hallmark, showcasing preservation design excellence by 21 firms and individuals. The California Preservation Foundation celebrates and recognizes exemplary work in historic preservation, restoration, rehabilitation, sustainability, studies, reports and other significant categories in the preservation field,” the website states. Lesak said the architecture firm he’s with started on this project during the beginning phases in 2010 by drafting a historic structure report for the building and schematic designs for the exterior. “It’s got some interesting flairs around the building,” Lesak said. This includes patterned terra-cotta, the turrets that dominate the corners of the building and more. “It’s an interesting building because it was always designed as a mixed-use building,” Lesak said. Since the building was completed in 1892, it has housed a theater, a hardware store and multiple shops and offices, he said. “Carson was a lumber baron and he’s got the [Carson] mansion but he built this as his office building,” Lesak said. Carson brought up architects and brothers Samuel and Joseph Newsom to do both Carson Block and the mansion, he said. “They were kind of the big architects in San Francisco [at the time],” Lesak said. The Carson Block architecture style is Romanesque revival, he said. “This is a very accurate restoration,” Lesak said. “We’re very proud. This one is a unique restoration,” he added. The award ceremony is scheduled Oct. 13 in the InterContinental Mark Hopkins Hotel in San Francisco. For building information, go to ncidc.org and more award information can be found at californiapreservation.org.